Zayre-Brown is a post-operative trans woman—believed to be the only post-operative trans inmate in the North Carolina prison system—yet all of her requests to be transferred to a women’s facility have been denied. She is currently serving out her sentence at Harnett Correctional, a men’s facility in Lillington, N.C.
Every day, she suffers routine humiliation and harassment: she sleeps in a bunk in a dorm for 38 men, the News and Observer reports, and showers and changes clothes in full view of the male inmates. The state of North Carolina insists on referring to her by her birth name (her “dead name”) despite the fact she legally changed it and continues to misidentify her as male. 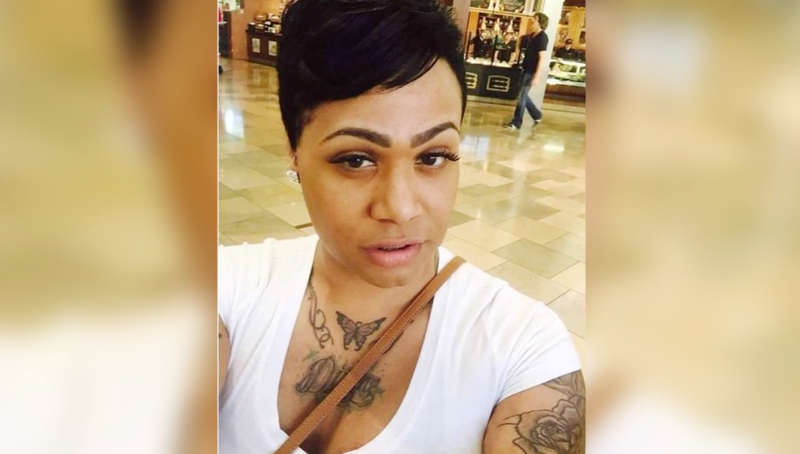 Even the legal protections the state passed in 2018 for trans prisoners have not been extended to Zayre-Brown, who tells the paper that she’s regularly given men’s underwear, despite her repeated request for women’s underwear, hygiene and shoes. Last month, the American Civil Liberties Union sent a letter (pdf) to the North Carolina Department of Public Safety, demanding that they either move Zayre-Brown to a women’s facility or face legal action. The letter gave DPS until April 1 to respond, and now, on the day of the deadline, activists have planned to show up at the office of Gov. Roy Cooper to demand that he honor his personal commitment to seeing that Zayre-Brown is moved to a women’s facility, according a statement sent to The Root by Southerners on New Ground (SONG). Cooper was also sent a demand letter on March 8, and Jeremy Collins, Gov. Cooper’s director of community engagement, told the group of over 400 community organizations and individuals who signed the letter that the governor was working with the Department of Public Safety to resolve Zayre-Brown’s case. “Kanautica is a North Carolinian...a family member. She’s a community member. She’s a sister, a family member to all of us. We take that seriously. We want her safety....and to make sure [the inhumane conditions of her confinement] never happen again,” Collins said. The governor still has yet to act, so activists will protest at his office and give him one last chance to comply with their demands before the 5 p.m. deadline issued in the ACLU letter. “Kanautica’s story is nothing short of a failure of the state of North Carolina to obey federal law and their moral commitment to protect the rights of all people in their custody. The state department of corrections must take the humane and ethical path and honor her reasonable and necessary request,” Mara Keisling, executive director of the National Center for Transgender Equality, said in the statement sent by SONG.